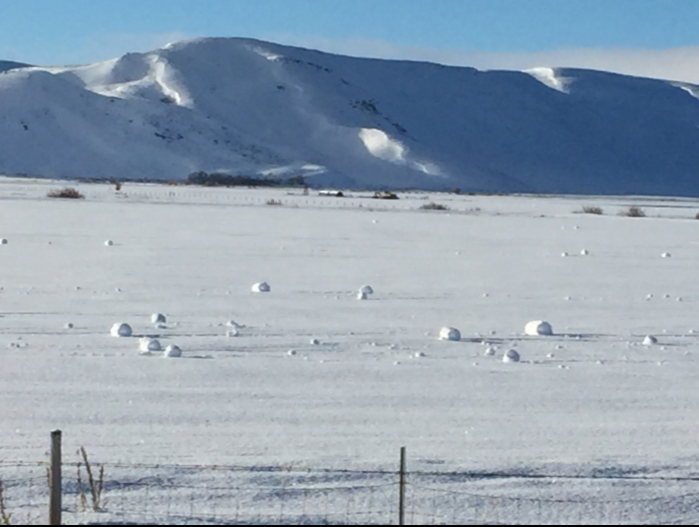 BOISE – Thousands of snowballs rolled in a flat central Idaho field look like the work of hundreds of ambitious kids – except there are no human tracks. 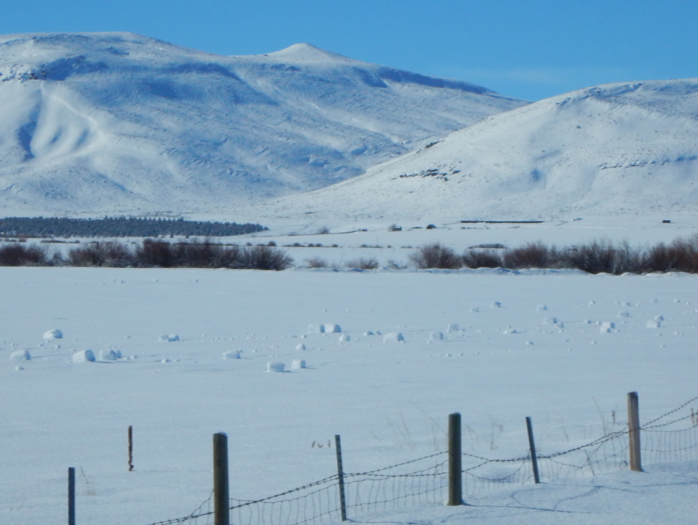 A rare weather event caused the spontaneous snowballs at the Nature Conservancy’s Silver Creek Preserve and surrounding fields near the tiny town of Picabo. 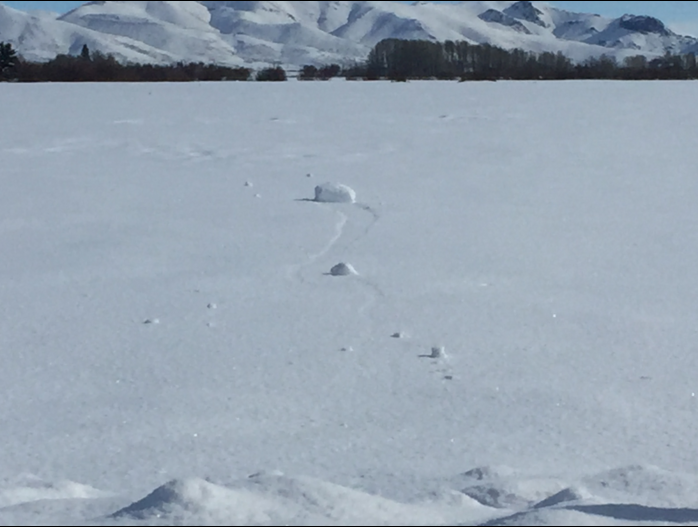 Preserve manager Sunny Healey spotted the cylindrical shapes up to 18 inches high on Jan. 30 following an overnight windstorm. 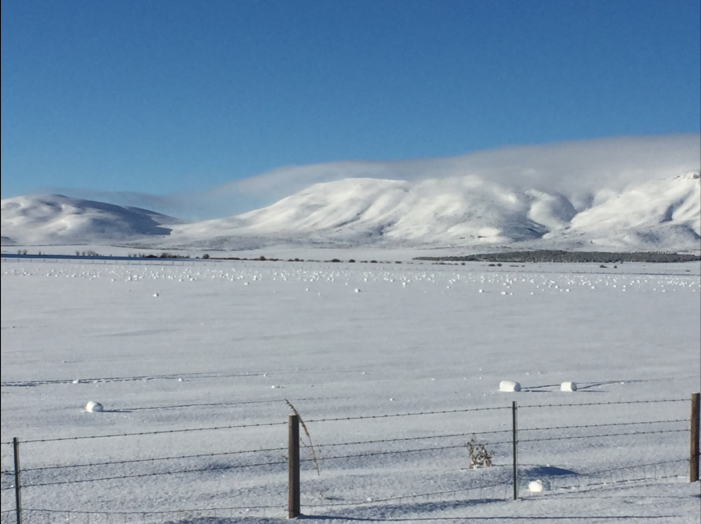 She says she had never seen them before but a local rancher told her he’s spotted them twice in previous decades. 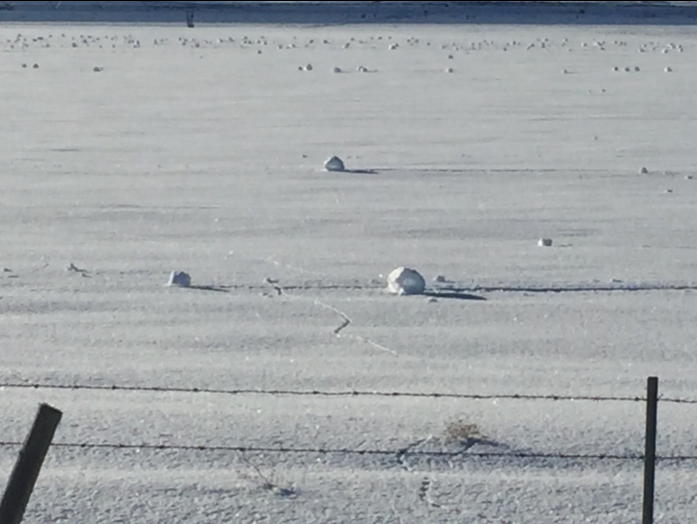 Jay Breidenbach of the National Weather Service says so-called snow rollers are caused by an unusual combination of a couple of inches of snow with the right water density and temperatures near freezing, followed by strong winds. There’s something about the energy and lightness of the air that just invigorates me. 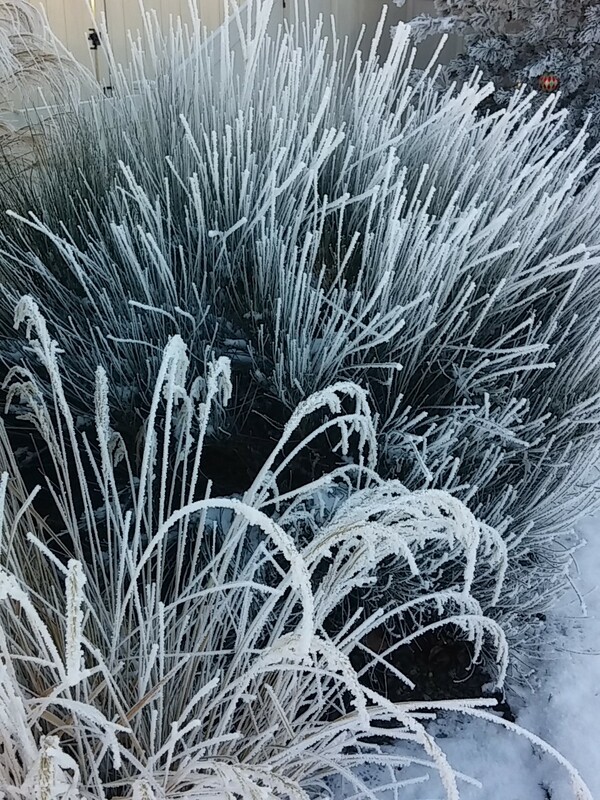 Here’s a beautiful video by Jeff Boyce, owner of Negative Tilt. We’ve woken for two days to pogonip, and in looking at the weather forecast it looks like the pogonip will be staying around for a while. 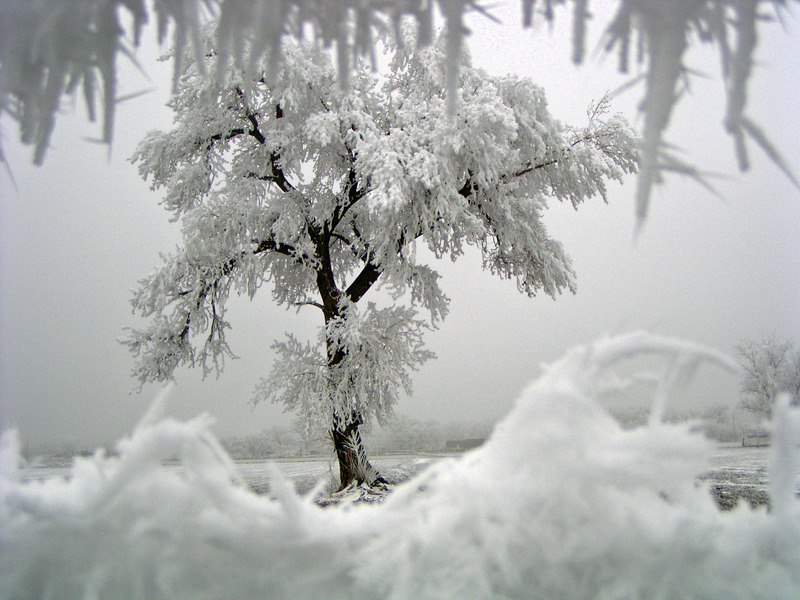 Pogonip is an ice fog that forms in the mountain valleys of the western U.S. when liquid fog droplets freeze to surfaces. 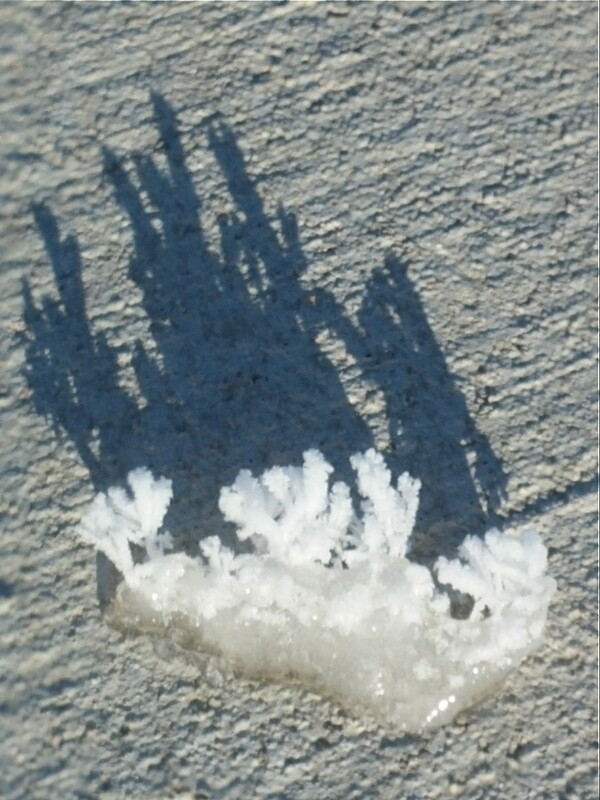 When the ice crystals stick to surfaces, it is technically called a hoar frost. 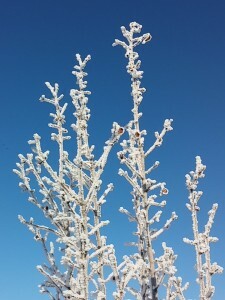 But those of us who grew up in the west, simply call the entire process (ice fog and resulting crystals) pogonip. 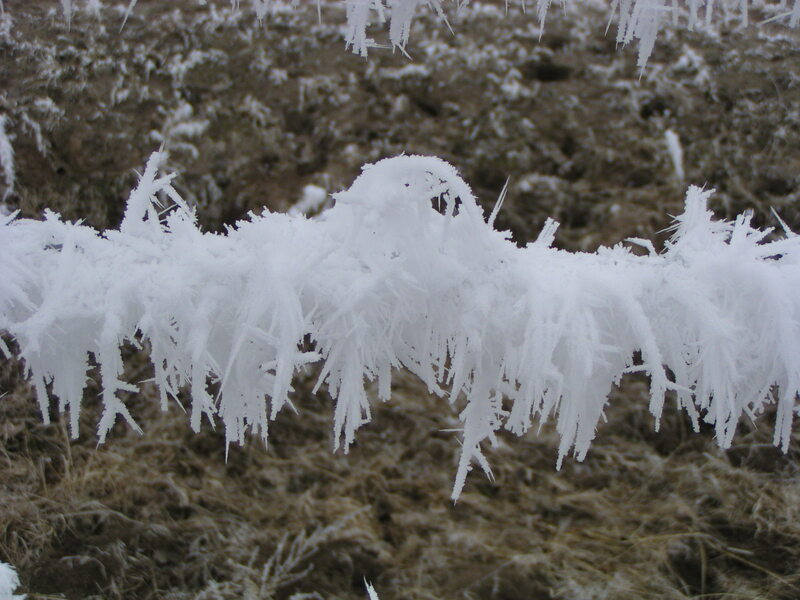 It it common on mountain tops which are exposed to low clouds, and it happens in valleys during an inversion when low clouds are trapped and the temperature is very cold. 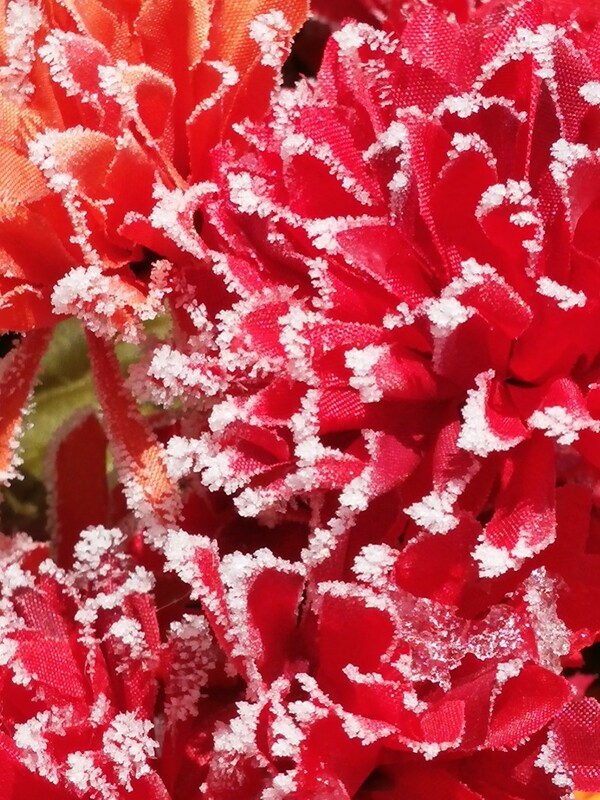 Pogonip is not soft and fluffy like snow. 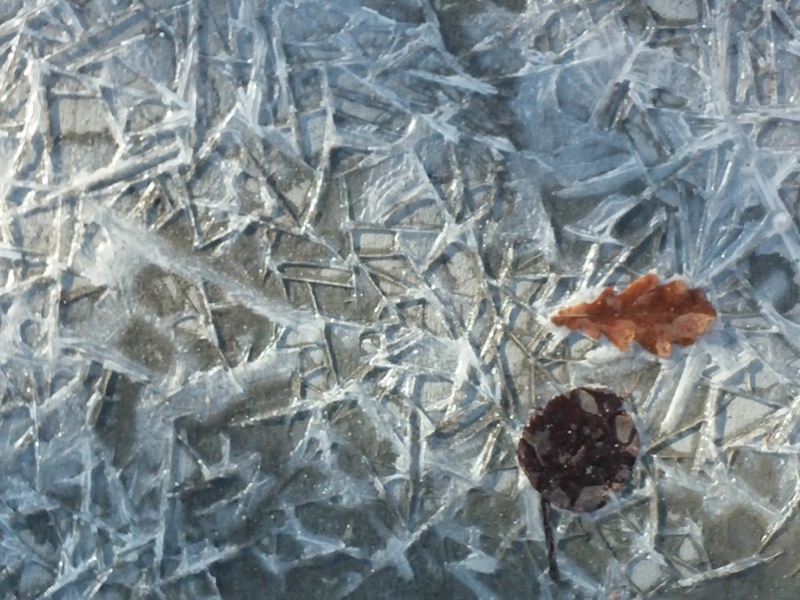 It’s crisp and brittle. 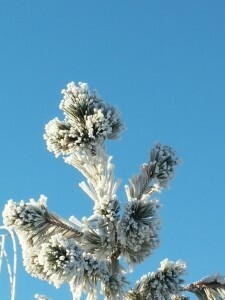 The word pogonip comes from the Shoshone Native American tribes who reside in the western U.S. And it literally means ‘freezing death’ because they believed that if you breathe in the frozen fog the crystals will form in your lungs. During those times, the pogonip grows and grows to make normal objects even more surreal. 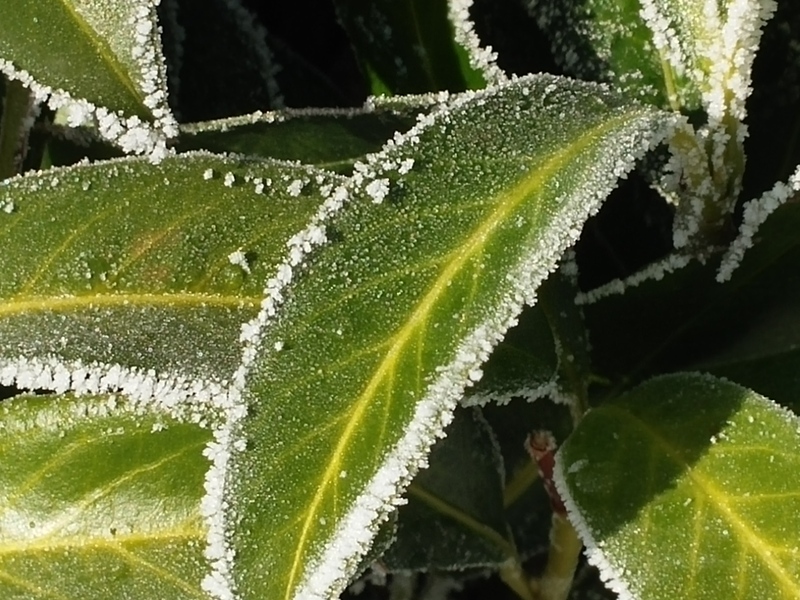 Here are some from a walk Sophie and I took this morning. 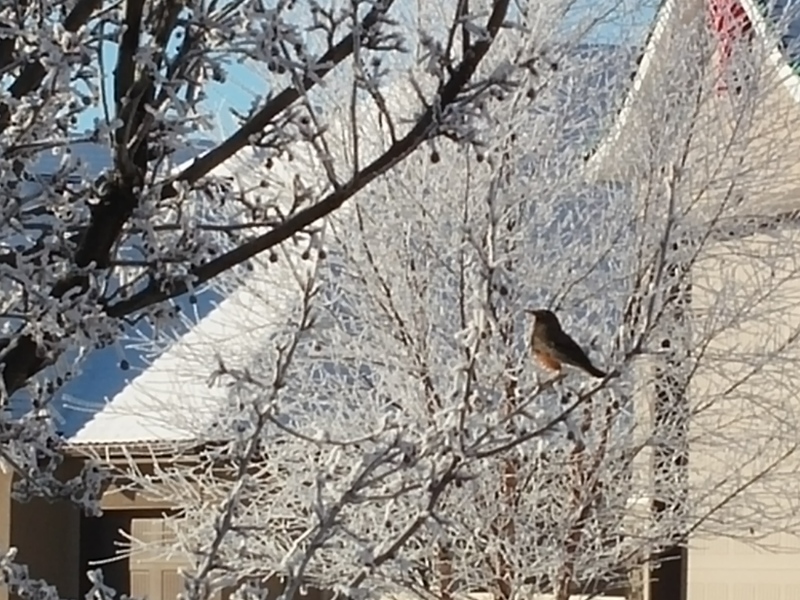 And on our morning walk, Sophie and I happened upon a robin sitting in our front yard. 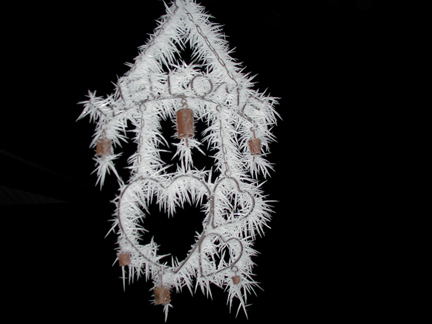 Lastly, here are a few pogonip pictures I took during that three week long inversion while we lived in Fallon. Looking at a cottonwood tree at Rich’s dad’s ranch through two pieces of barbed wire.